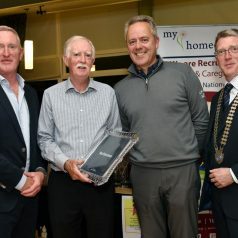 The Annual Chamber Golf Classic took place in the beautiful surroundings of Dundalk Golf Club. 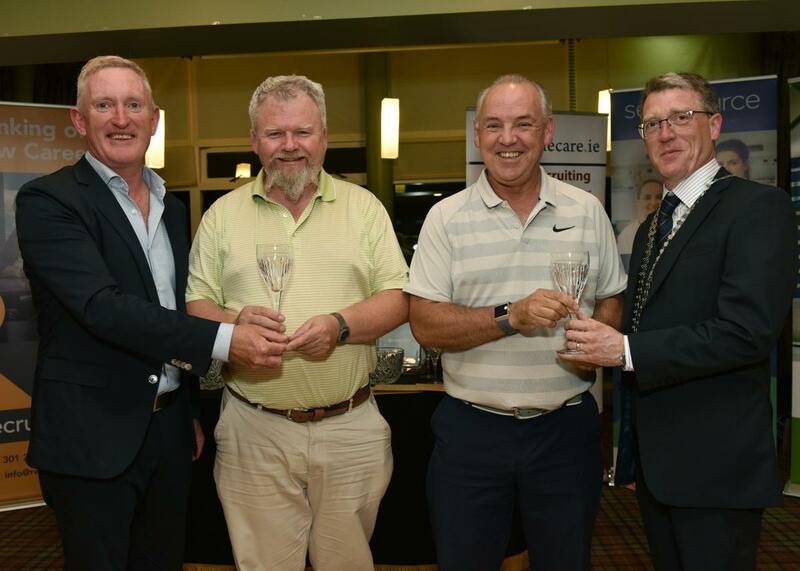 A thoroughly enjoyable day was had by all Chamber Golf Classic which is one of the longest established and popular golf classics in the North East region. 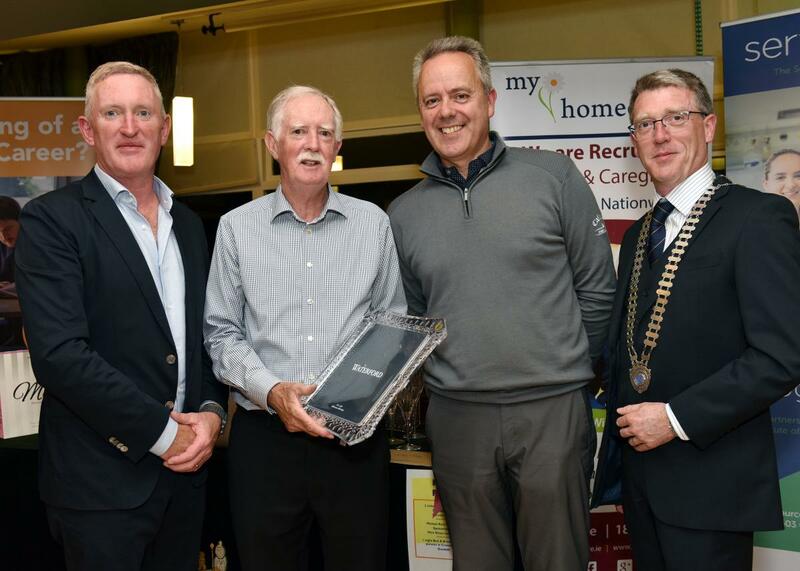 This very prestigious annual event, sponsored by Recruit Island was held on Friday 31st August in Blackrock and has drawn many teams back every year to enjoy the warm atmosphere and hospitality experienced on the day. The Dundalk Golf course as usual was in magnificent condition and is unquestionably one of Ireland’s premium parkland layouts. The traditional delicious bar-b-que was enjoyed by team members at the 9th hole was sponsored by McArdle Meats and also offered an opportunity to meet other team players for a chat before completing the course. An evening of entertainment followed with dinner, prize presentation and a raffle in the Club House. 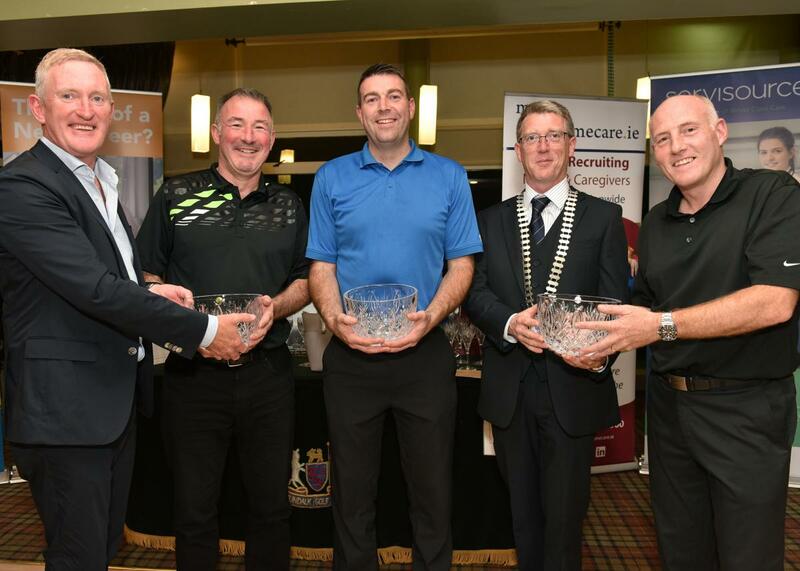 First prize with 91 Points was won by Allergan and the players were Pat Butterly, David Reilly, Donnan Hurst and David Brennan. Second Prize was won by Moffett Ltd with 86 points. Players were Paul Rogan, Gary Thompson, Kevin Turnbull and Kevin Redmond. Third Prize was won by Truform Laser Dies on 85 points. 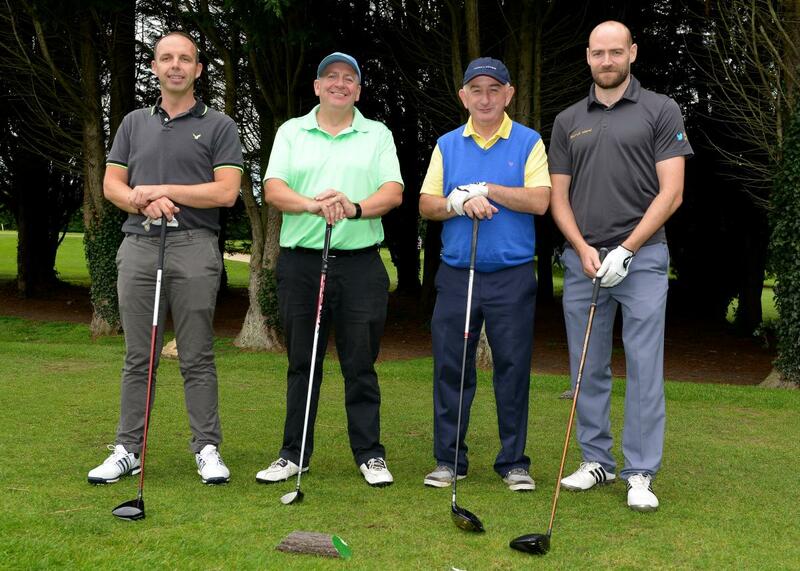 Players were Brendan Tumilty, Neil McGeown, Paul O Reilly and Tom Larne. Fourth Prize was won by UHY Farrelly Dawe White with 84 points . Players were Conor Curran, Brendan Rogers, Conor McDonald and Francois Van Herden. Fifth Prize was won by Collen Construction with 84 points. Team consisted of John Sweeney, Tony Healy, Pat Henry and Brian Hickey. 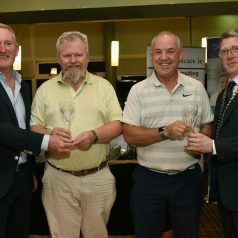 Nearest the Pin Gents was won by Brendan Lawlor of CTI Business Solutions. 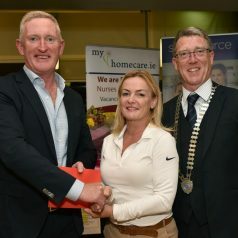 Nearest the Pin Ladies was won by Dympna McGuinness.of Bradley’s Pharmacy. Longest Drive Gents was won by Sean Lavery of Partnership Action team. 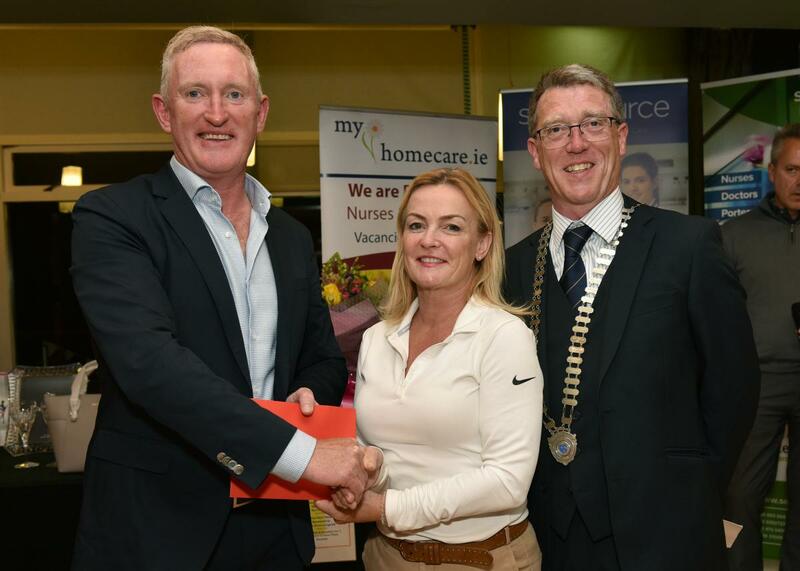 Longest Drive Ladies was won by Maria Duffy of Bradley’s Pharmacy. 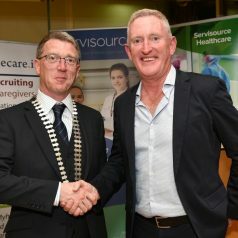 The fantastic raffle which followed included a variety of prizes including 2 tickets to Snow Patrol was won by Peter Madden and the beautiful Michael Kors handbag donated by Miro Shoes was also won by Peter Madden. The prize of One Night B & B for 2 in the Crowne Plaza Dundalk was won by John O Flaherty. 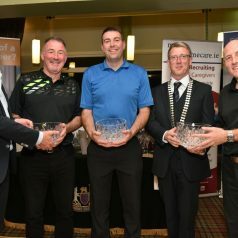 Recruit Island thanked the organising committee at the Dundalk Chamber of Commerce, they also thanked Leslie and Aaron of Dundalk Golf Club and to all those who helped to make this golf classic a tremendous success. We’re in an Investment Ready Region! The region offers unrivalled access to talent and infrastructure. There are 2.25 million people within 60 minutes of Dundalk & Drogheda, over one-third of the population of the island. Read more about the M1 Corridor at http://m1corridor.ie. We don't use your details for anything other than sending you the monthly news digest. You can unsubscribe from this list at any time. Note: Chamber Members are automatically signed up for the monthly digest when they join. 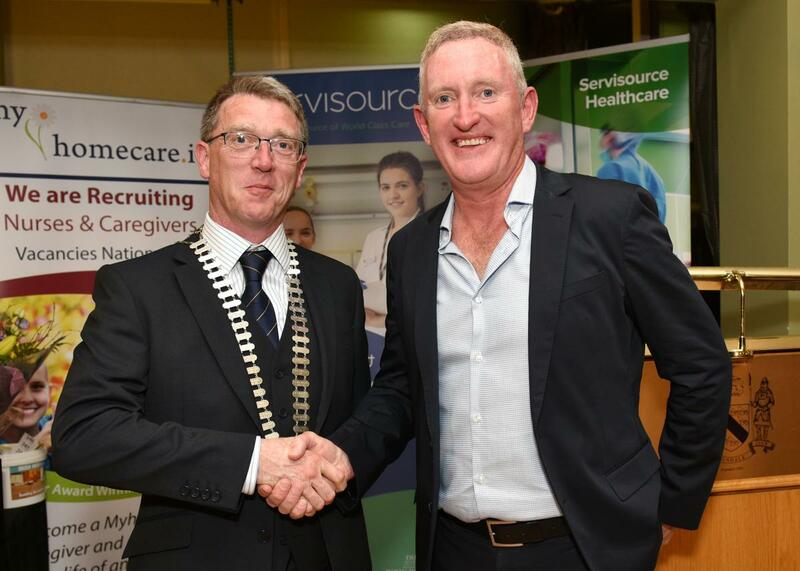 Dundalk has an extremely active Chamber of Commerce. Dundalk’s business network and business voice consist of 200 members representing all business sectors in the town. Chamber members meet monthly with a view to promoting economic development throughout Dundalk.